SIEX™ TK-COMPLEX has a dual function autonomous detection. This mechanical-thermal activation system provides a large area of protection since it makes it possible to install several detection lines in a single mechanism. Independent system - each line is operated individually. Cross system - both lines work in coordination for a double check. It is ideal when the installation of an electronic detection is not possible, or when the hazard is completely isolated. However, the main function for which it is designed is to be installed as a detection supplement in protection systems where there is a high risk of power failure or explosion, in both of which cases the electrical components would fail. 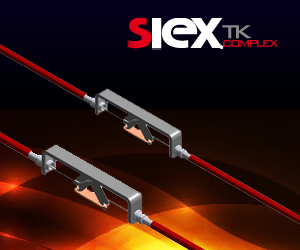 SIEX™ TK-COMPLEX is a stand-alone and reliable system that guarantees detection of fire without the need for electricity. It adapts to any circumstance and provides greater safety, ensuring extinguishment before any hardship.